Welcome to Pick Me Car Keys Adelaide help page for Kia Car Key Replacement. We have put together some information to try and help you if you have lost your Kia keys or if you require a spare key cut for your Kia. 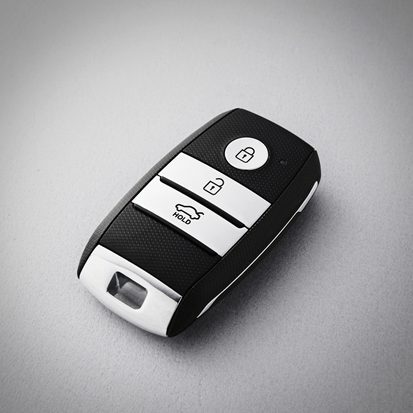 We can provide replacement keys for Kia Rio, Cerato, Sportage, Carnival and most Kia models. Pick Me Car Locksmith Adelaide are fully mobile and equipped to cut and program car keys and remotes on site saving you time and money. Believe it or not, early Kia’s that have lost all keys can be quite difficult to make keys to. The “transponder” systems they used were a mixture of electronic parts. On the Sportage or Carnival they require highly specialised knowledge and equipment to program new keys and this can be quite costly. It is much cheaper and easier to keep a spare key for any Kia made between 2000 and 2004, get a spare key! Kia now make some of the best cars on the market and there security systems are much easier to service in the event that keys are lost or stolen. The newer models can be programmed through the OBD 2 port located inside the vehicle using the pin code required by the vehicles system. Pick Me Car Locksmith Adelaide carry the latest tools and equipment to cut and program Kia keys and remotes on site in our fully mobile workshop. CLICK HERE TO GET A KIA CAR KEY REPLACEMENT QUOTE NOW !